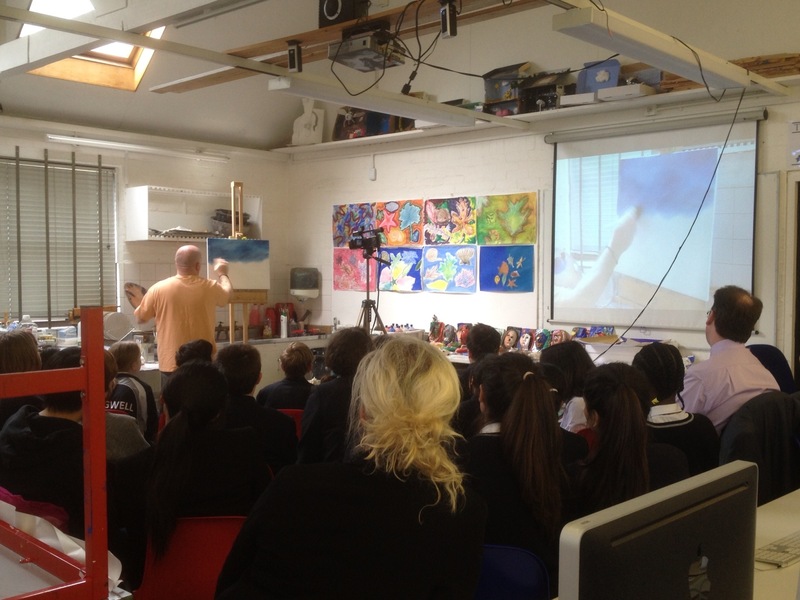 Mr Eardley chose his title well: “Anyone can Paint!” told us that he had set out to inspire us in a topic that was unfamiliar perhaps with a lot of busy students and teachers, as it is renowned to be a topic for those with a steady mind and hand. 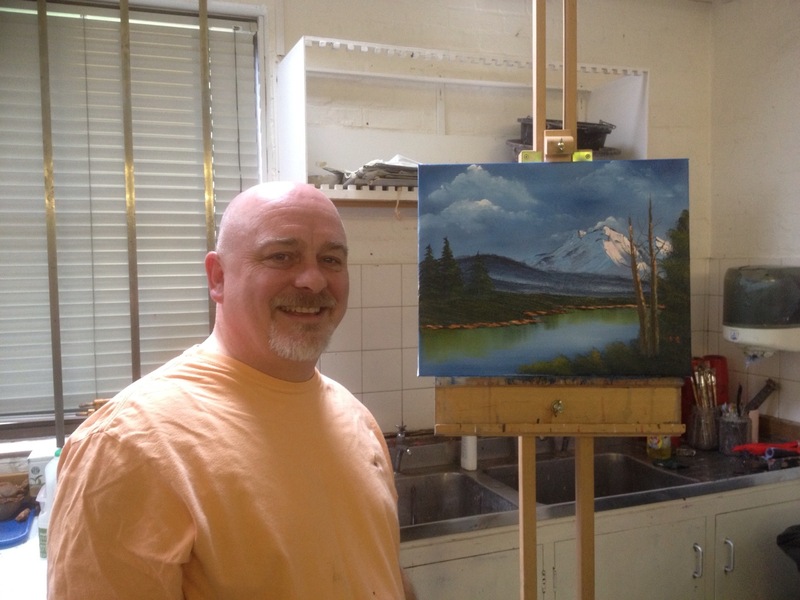 He demonstrated, live (and with a projected video feed), Bob Ross’ method of painting, building up the picture from the top and the background, adding foreground in layers. 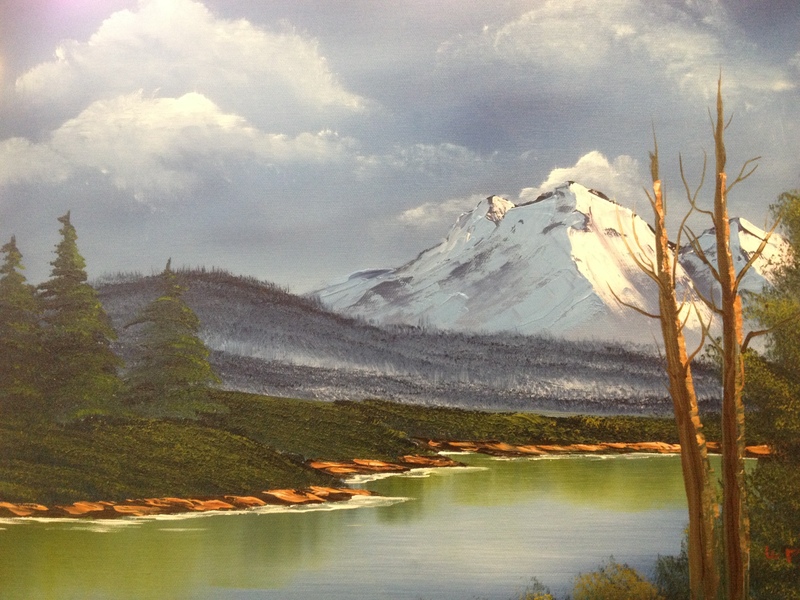 First sky at the top and water beneath, then clouds, mountains, snow, foothills, trees, banks and finally highlights on the foreground bushes. While he painted he talked, so we learnt invaluable lessons on painting that can be applicable to many areas of life, such as his comments on sacrifice and usingblank areas to create atmosphere. With such a stunning piece for a Tuesday evening, I can now say that anyone can paint… as long as we have inspiring people like Mr Eardley helping us realise our potential. And he did it all in 75 minutes flat, smashing his practice best. Try zooming in on the photograph below of the finished painting.